Our thanks to Malaysiakini for permission to republish this article. In the heart of Kuala Lumpur lies Kampung Datuk Keramat, a century-old Malay village that is juxtaposed against the stunning view of the Petronas Twin Towers and KLCC. Although the village and the country’s commercial hub may be within just walking distance, the living conditions in the two iconic localities are worlds apart. Unlike the affluence of the MYR2,000 (USD517) per square feet KLCC area, many who call Keramat home can be classified as poor. A recent straw poll of Keramat folks—who are constituents in Titiwangsa—revealed that this disparity does not influence how they vote. This is despite the general perception that the majority of city folks are staunch opposition supporters. For petty traders Noor Amira Masri, 33, and Zamri Salleh, 52, things are improving and they say they have the incumbent Barisan Nasional (BN) coalition to thank. 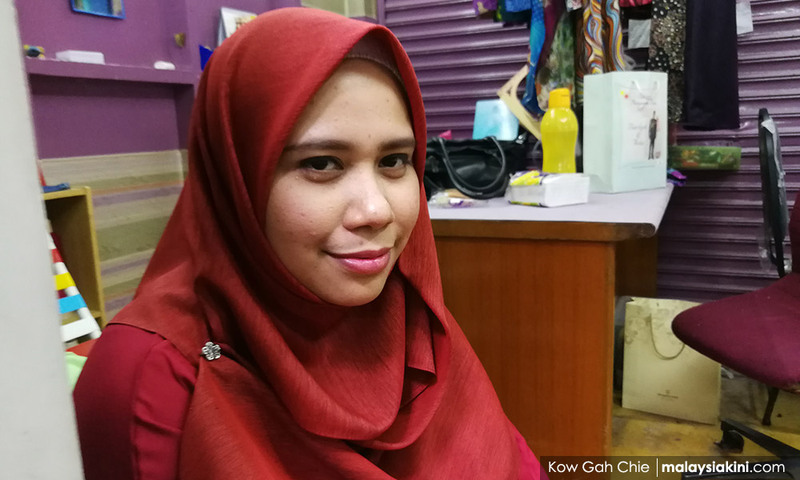 Noor Amira, who trades at the Keramat market, said that although her family was initially poor, BN’s policies had helped her family members escape poverty by providing them with an education. “I was born into a poor family. My father was merely a fruit seller, but eight of his kids went to university. We obtained Public Services Department (JPA) scholarships and sponsorship. “While my niece and nephew studied medicine in the UK and engineering in Japan, they were given MYR60,000 (USD15,519) and MYR1 million (USD258,621) to further (their) studies,” she added. Noor Amira expressed special gratitude for the Titiwangsa MP Johari Abdul Ghani, whom she said had helped the community a lot. “I got aid from school programmes, my mother received a pair of reading glasses. The sugar cane juice hawker down the road got an ice-blender, while another received an aluminium stall worth MYR1,500 (USD388),” she said. “I do not understand politics and I don’t want to judge. When I go and cast my ballot, I only vote for a representative who can help the community. He helped, what else you want from a lawmaker?” added the clothes trader. 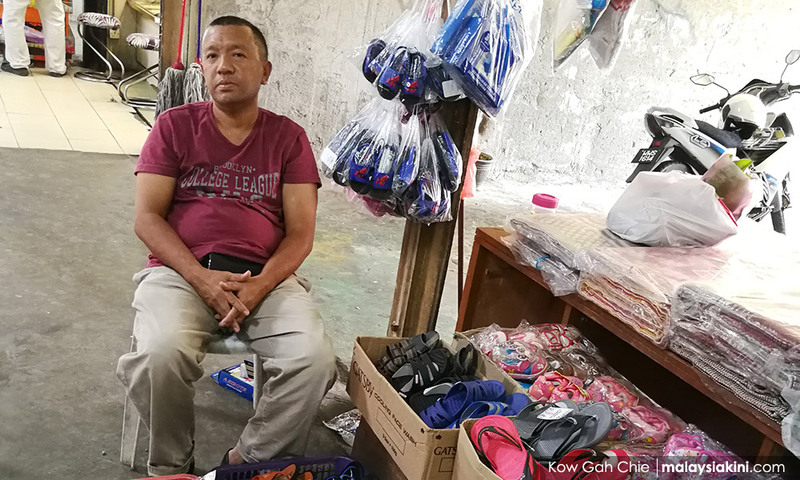 While Noor Amira saw her family’s life improve, Zamri, an Umno [the main political party within the BN coalition] member who operates a shoe stall at the same market, is struggling to take care of a family of four, with him and his wife bringing home MYR3,000 (USD776) in wages per month. During the 20-minute interview with Malaysiakini, no customer stopped by to look at his products. Zamri seemed untroubled by this, however. “I only earn slightly above MYR1,000 (USD259) and my wife earns MYR2,000 (USD517) as a clerk. But life is not harsh after all. I am used to hardship during my days back in the squatter area. We can survive,” he smiled. He believed that the rising cost of living, which several surveys have shown is what voters are most concerned about in the coming general election, was the norm everywhere because of inflation. In Zamri’s case, the rising cost of living has only a slight impact on him as he secured a 400-square foot people’s housing project (PPR) unit, which comes with a MYR124 (USD32) monthly rental, with BN’s help. “People used to label Keramat as a ghetto with the most number of thugs. Look at the tahfiz school arson (involving 23 deaths). But, I see changes and have hope that things will be better tomorrow,” he said. In the 2013 polls, BN won all the five streams in Keramat polling districts, which shows that the majority of voters of all ages voted for the ruling coalition. A significant majority of Keramat folks echoed sentiments expressed by Noor Amira and Zamri during a straw poll conducted in the area recently. Seven out of nine voters interviewed by the news portal pledged their support for Umno/BN, and reflected on how the extensive resources from the federal government, Kuala Lumpur City Hall (DBKL) and Umno were used in programmes that have proven beneficial to those living there. The majority of the interviewees have a household income below the national median monthly household income (USD1,352), as well as that of Kuala Lumpur (USD2,346), as recorded in 2016. In this two-part series, Malaysiakini explores how Umno, which is known to control most rural seats, is struggling to keep its remaining urban seats amidst the changing sentiments on the ground. 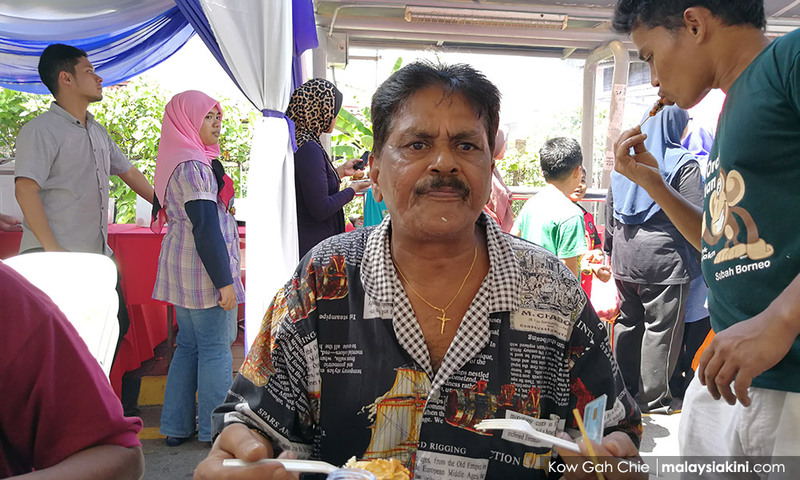 M Rajasingam, 66, who rents a flat in Kampung Pandan and is a first-time voter in Titiwangsa, said he decided to register as a voter and to support BN the moment he received the 1Malaysia People’s Aid (BR1M) cash aid recently. “During his 22-years in power, I never received anything from Dr Mahathir Mohamad. As a sign of protest, I declined to vote. I am now registered as a voter because of BR1M,” he said. The security guard, who earns barely RM800 (USD207) a month, expects the money will improve his life and said he may subscribe to the cheapest package of satellite television network Astro on a sharing basis with his housemate. Titiwangsa is located on the east of the capital and spans across Jalan Ampang, a commercial and financial precinct that houses a more affluent community adjacent to the poorest housing areas in Keramat, Kampung Pandan and Kampung Baru. The federal constituency is one of the two seats won by Umno out of a total of ten in Kuala Lumpur. The other is Setiawangsa, adjacent to Titiwangsa. Umno contested only three seats in Kuala Lumpur, but lost Lembah Pantai to opposition Parti Keadilan Rakyat (PKR) vice-president Nurul Izzah Anwar in 2008. Now the opposition is, at least on paper, within striking distance of Umno in Setiawangsa as well, as the incumbent party’s majority was slashed from 8,134 votes in 2008 to 1,390 in 2013. 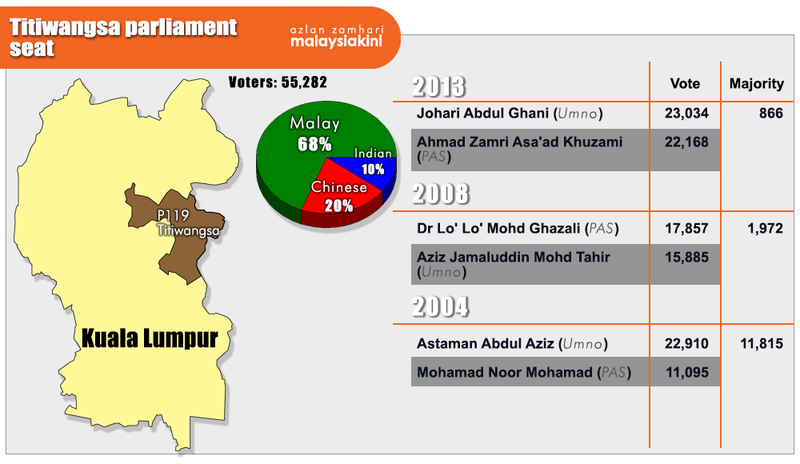 Titiwangsa is the most Malay-populated constituency in the capital with 68 percent Malay, 20 percent Chinese and 10 percent Indian voters. Since the seat was created in the 1986 poll, BN has only lost once to the Pan-Malaysian Islamic Party’s (PAS) Lo’ Lo’ Mohd Ghazali by 1,972 votes. Lo’ Lo’ passed away during her tenure, but no by-election was called. BN, at least for now, appear to have tasked Johari to defend the seat. He is still the Titiwangsa BN coordinating chairperson, a position he has held since 2010. His service centre there was opened the same year. In the 2013 poll, Johari won the seat by defeating PAS’ Ahmad Zamri Asa’ad Khuzami by 866 votes. The entrepreneur-turned-politician had a quick rise to political “stardom.” He was appointed the deputy finance minister in the July 2015 cabinet reshuffle, and was promoted to the second finance minister in the June 2016 cabinet reshuffle. Titiwangsa is expected to see a three-corner fight as PAS and Bersatu are also eyeing the seat. The two opposition parties, however, have yet to announce their candidates. While he does not yet know who his potential opponents will be, Johari, who is expected to defend his seat, has earned a reputation as a humble representative who is accessible to the rakyat, despite being occupied with ministerial responsibilities since 2013. 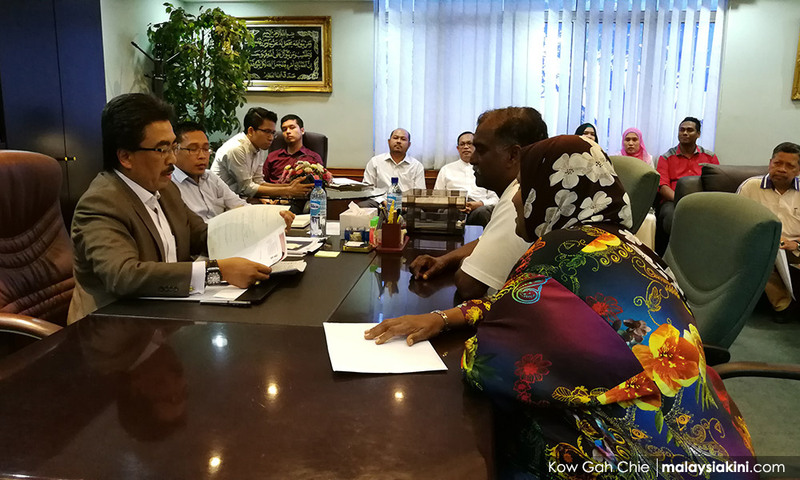 Johari, who is expected to defend his seat, has earned a reputation as a humble representative who is accessible to the rakyat. Every Friday after afternoon prayers, he personally meets and attempts to resolve the various problems of voters at his service centre. About 150 to 200 people usually queue up to meet him during these sessions. He said he is supported by seven staffs and numerous volunteers in running his service centre, which operates from Monday to Friday, and in performing various services in the constituency. His aides even helped the residents to open bank accounts by filling up forms so various funds could be channeled to the recipients, according to the vocal minister. Last month, he posted a video on social media, which explained how he forked out budget allocations to repaint the old flats, buildings and recreation centre at Titiwangsa. With the general election looming, Johari is particularly focused on spending his weekends with his voters through house-to-house visits, walkabouts, welfare events, and festive celebrations. At the “Luncheon 1Federal Territories” organised by the government at Taman Maluri, which is under his constituency, at least 50 lucky draw prizes were given out, comprising electrical and kitchen appliances, foldable beds, motorbikes, bicycles and hampers. He even gave presents to the children at the same event. He also organised three heavily discounted grocery sale programmes dubbed the “Program Jualan Sentuhan Rakyat”. Three federal ministers, namely Tengku Adnan Tengku Mansor, Ahmad Shabery Cheek and Hamzah Zainudin appeared with Johari at these events. Johari, who is fondly known by the locals as Jo or Datuk Jo, manages his personal image well with the public, striking them as a humble representative who was born in a poor squatter area, but returned to contribute to his birthplace. Desa Pandan resident Faridah Hanim Shawkathali, 53, said Johari was well liked by the community. “My family voted for Jo, we like him because he is hardworking and helps all the races. “He was born here, he was poor but helped people when he became rich. (We) felt gratitude, that’s the man we want,” she said. Johari, however, said that being a minister and a local were no guarantees for his victory in the next poll. “No one can guarantee. In the end, it will go back to the voters,” said Johari when met at his service centre at Desa Pandan. “If you want to be a leader in this constituency, you have no choice except to go to the ground to meet these people, to know them, to help them, to understand their issues and try to resolve (these) as much as you can,” he said. “I don’t know how the lawmakers in the opposition side in Kuala Lumpur (are performing). Even though they are not in their own constituency, they still can attract a majority (of votes) up to 20,000. Until now, I am not able to find a reason for this. “But, it is okay. As far as I’m concerned, I’m happy here, to serve the rakyat,” he said. The voters in Titiwangsa are well-educated and exposed to information, he added, so a large portion of them had made up their minds on who to support. “You simply have to ask the voters,” shrugged Johari, when asked how he viewed his chances in Titiwangsa.